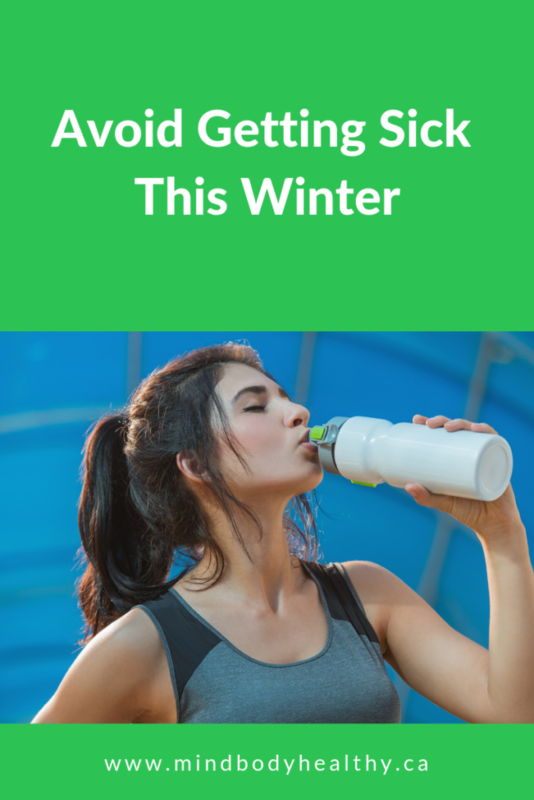 Avoid Getting Sick This Winter – Here’s How! Would you love to avoid getting sick this winter? I know…me too! Without fail, I always seem to catch something over the holidays. Which totally ruins about 5 of those precious days off. Of course, it’s also a great way to binge watch Gilmore Girls and Pretty Little Liars on Netflix! Hmm, doesn’t sound that bad now that I think about…Of course, I would MUCH rather avoid getting sick at all. There is actually one very easy way to avoid getting sick this winter…Want to know what it is? Yes, get outside, get to the gym, get moving. Exercise is a great way to avoid common upper respiratory infections because exercise can help boost immune system response to bacteria and viruses. Our immune systems are our natural defense system against diseases. Since the lymphatic vessel tissue is not made from muscle tissue, it must rely on skeletal muscle movement to work. So, in order to pump the fluid throughout the body and avoid getting sick, you need to MOVE! Exercise (or daily, regular movement in general) is important to avoid getting sick this winter. You may have heard how prolonged sitting can lead to deadly diseases; well, one of the main reasons is that, on top of unhealthy eating and lifestyle habits, toxins and microbes accumulate in the sedentary body. Then they seep into out tissues when the lymphatic system is not stimulated. Keeping this fluid moving is the key to maintaining a toxin- and microbe-free body. And, of course, not getting sick this winter. The immune cells also work to kill off diseased or malformed tissues, such as cancer cells and tumors. Keeping these cells functioning at their best occurs through both diet and exercise. To get this bonus to avoid getting sick this winter, exercise moderately at least 4 days a week, for 30 minutes each time. This also helps reduce stress! Yay! Exercise is very important to avoid getting sick, yes. 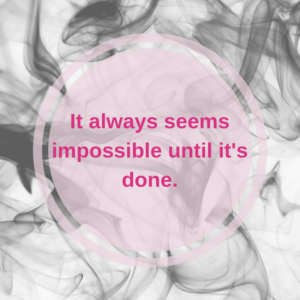 But too much, too soon can actually have the opposite effect on your immune system! In fact, many athletes who undergo intense training or take part in endurance race events often find that they become more susceptible to upper respiratory illnesses after prolonged periods of exercise. And I can totally attest to this! One spring, I joined the Insanity program – a 90-day intensive HIIT-style workout program that is, without a doubt, insane! I made it about 3 weeks before I was hit with the WORST cold ever. This reversal effect happens because intense training over a continuously long period appears to depress immune cell functions. In fact, as training volume and intensity increase, so too does the magnitude of illness caused by immune system depression. One of the reasons is that intense exercise releases excessive cortisol, one of the body’s natural stress hormones; cortisol affects the immune system by depressing its functionality. Are You New to Exercise (Or Getting Back Into It)? If you’re new to exercise, your safest defense against exercise-induced illness is to start out slow. Begin with easy to moderate forms of exercise 3-4 days per week, increasing intensity and/or duration by 5-10% each week. Cut back if you begin to feel a cold or sore throat coming on. If you’re already quite active, you probably already know how to use exercise to avoid getting sick. But…if you want to boost that exercise, increase your intensity slowly. Switch up 1-2 of your regular sessions with a more intense program each week and monitor your health. Of course, diet plays a significant role in our overall health. In fact, studies have found that people in first world countries with access to all of their basic health and nutritional needs still show nutritional imbalances that impact their immunity. Crazy, right? Some of the basic immunity supporting nutrients we need include: adequate protein, iron, zinc, vitamin A, vitamin E, vitamin B6 and vitamin B12, along with folic acid, vitamin C, manganese and magnesium. Increase your intake of healthy, whole, preferably organic foods containing these nutrients helps you avoid getting sick. Especially any illnesses caused by exercise-induced immune system suppression. A diet moderate in complex carbohydrates is vital to support the body’s needs during periods of intense training. However, women who are moderately active (or the average gym goer) can easily sustain their energy levels following low carb / high fat. With the occasional higher carb snack post-workout, if needed. Foods important to a healthy, active lifestyle include fresh fruits, vegetables, whole grains, beans, lentils, nuts and seeds. Drink plenty of pure, filtered water daily to stay hydrated and to help flush out the lymphatic system. Stick to this diet, avoid sugar (an immune system depressor! ), and you should be able to easily maintain your exercise program and avoid getting sick this winter! Avritt, J.J. (2012). Immunity and the effects of exercise and nutrition. The Gale Encyclopedia of Fitness. J.L. Longe (Ed.). Detroit, MI: Gale. Davison, G. (2011). Innate immune response to a single session of sprint interval training. Applied Physiology, Nutrition and Metabolism, 36(6), 395-404.